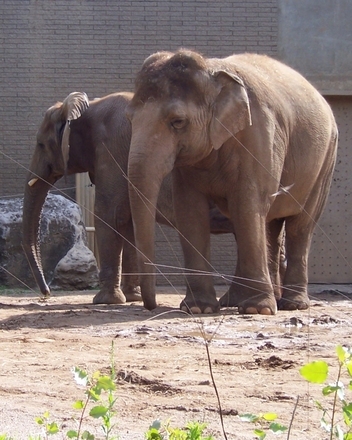 The Denver Zoo has hit a snag with its proposed zero waste plan. They were trying to impliment a biomass gasification system that would have turned animal waste into energy. Yes, elephant dung was going to keep the lights on! Unfortunately, their was ongoing budget issues not to mention some kinks in the untested technology. The hope is that they’ll raise more funds and work out the bugs to revisit this idea. It’s the exact kind of zero waste thinking that every city needs to adopt. Instead of something being thrown out, can there be another use for it? Reusing animal waste is certainly a big leap. However, when it comes to something like getting rid of your junk, there is one company in Denver who is dedicated to zero-waste. That would be Junk King. One of the founding principles behind Junk King was to be strong environmental partners in every city where a franchise operates. This isn’t something the cities ask for but it is something that Junk King is proud to do. All of their crews are trained to spot those items that can be repurposed. There is a long list of objects that can be recycled including things like concrete, wood and yard waste. Junk King knows all the players in the recycling game and will know what they’re looking for. The same can be said about Junk King’s partnerships with many Denver area charities. These are the organizations that run thrift stores or provide direct donations to families in need. Junk King is able to response to a call for furniture, clothing and other household goods. Just because you’re done with something doesn’t mean it has to go to waste! When you set up a junk removal appointment with Junk King, you’ll benefit from that two-man moving crew who will be assigned to the task. This is the team who is going to b e doing all the lifting and loading for you. You won’t have to but your back at risk and that’s a good thing indeed! The Junk King team will also gladly take apart any object in order to get it fit on the back of a truck. They’re not above sawing something in half! The perfect zero waste partner for your junk removal needs in Denver is Junk King. Put them to work today! This entry was posted in junk removal and tagged Junk King, junk removal, Zero Waste on September 30, 2015 by Paul Durant. Last updated August 15, 2017 . There are two things you should never have in your basement: Water and junk. Anytime water leaks into a basement it can lead to some serious problems. Not only can it damage furniture and flooring but it can also create mold. That is definitely something you don’t want spreading in your home. As for the junk, it might not be as damaging as water, but it can also be a huge nuisance. It is easy to put something down in the basement that you’re no longer user. Out of sight, out of mind, right? Well, if you are truly done with an item, then why are you holding onto it? Sounds like you need to give Junk King a call. Setting up a cellar decluttering appointment with Junk King is easy. You can do that over the phone or online through the website. You’ll be pleasantly surprised at how fast a crew can show up at your home. Of course, if you want to wait until the weekend, Junk King will be happy to comply. Before the crew arrives, you might want to spend a little time deciding what specific items need to go. This doesn’t mean you have to bring anything up from the cellar. Leave that job for Junk King. That’s why you’re hiring them in the first place! When the team is down with your cellar decluttering you can send them throughout the rest of your home to removed other items. This also includes any debris removal you might need out in the backyard. Getting ready for winter might mean trimming tree branches or getting rid of rusty patio furniture. Junk King won’t have a problem removing those items, as well! As your clutter is being loaded onto the back of the Junk King truck, the crews will be on the lookout for anything that can be repurposed. Junk King has established amazing partnerships with many recycling facilities and charity organizations. They know exactly what to look for and where to drop that. Any day they can avoid going to a landfill is going to be a good day for Junk King. If you’re ready to get serious about cellar decluttering and junk hauling, then Junk King is the company for you. This entry was posted in Denver Junk Removal and tagged declutter, Junk King, junk removal on September 23, 2015 by Paul Durant. Last updated August 1, 2017 .